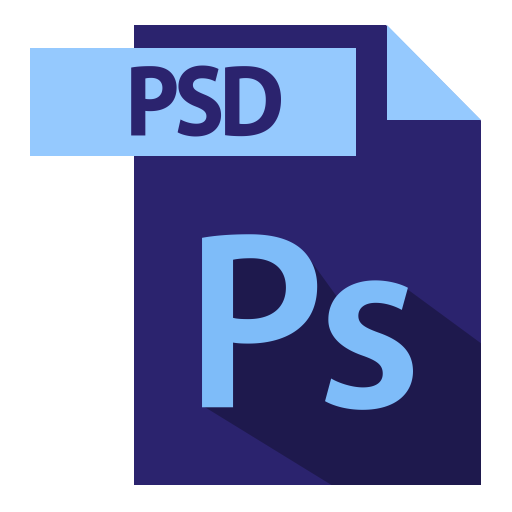 PSD file type is Adobe Photoshop default format of saving data, and file with .psd file extension is called Adobe Photoshop Document file. Adobe Photoshop is professional image editing program used for enhancing digital images and creating web graphics. PSD image files may include image layers, adjustments, masks, notes and other elements that are specific for Photoshop, and supports multiple color modes as: RGB, CMYK, grayscale, monochrome, duotone, Lab color, multi channel color mode and others. Psd image that once has been converted to other formats as jpg, png, tiff or other non-proprietary file format, layers in psd file will be flattened and it will become flat image. After conversion, flattened image can not be converted back to .psd and user cannot work with layers anymore. Image data - contains the actual image data and the data compression method and the image pixel data.